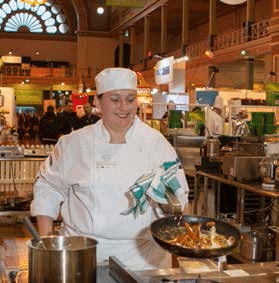 This year the Foodservice Australia 2015 show was held at Melbourne’s historic Royal Exhibition Building. 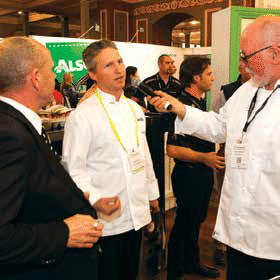 The 3-day show for chefs, food managers and hospitality operators. 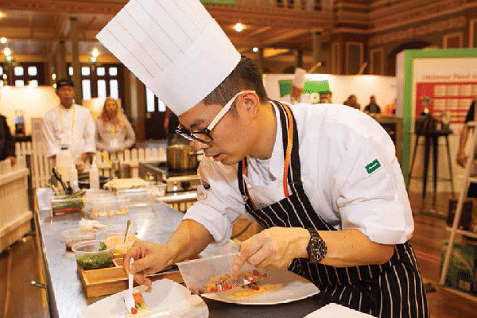 Special events included the prestigious Unilever Food Solutions Chef of the Year, FSAA Foodservice Conference, Australia’s Best Pie Competition, Café School Workshops and the new Restaurant & Bar Theatre. 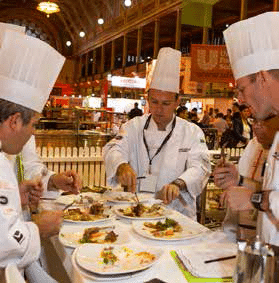 The “Chef of the Year” competition is a highlight of the annual show and this year was no exception with 150 entries. Leslie Chan from Melbourne, Richard Robinson from Sydney, Chloe Donaldson from Brisbane and Chris Malone from Perth battled it out for the title. 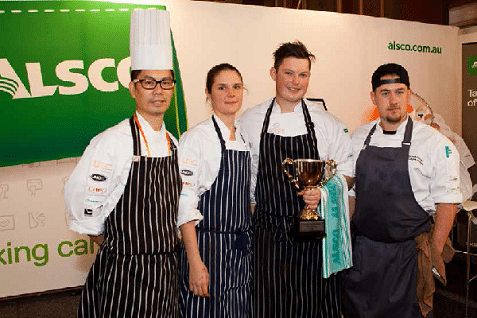 After a closely-fought final, Chef Malone from Balthazar in Perth took home the trophy and $6000 in prize money. Alsco had a strong presence with an eye-catching display stand featuring the new branding collateral. Our Victorian Sales team worked hard gathering leads and connecting with existing customers. 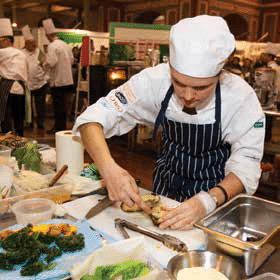 Once again Deane Apparel provided the chefs gear for the competition. Thank you, Deane Apparel!